I’m so glad I got this commission, it will hopefully inspire me to finish some of my travel poster ideas. 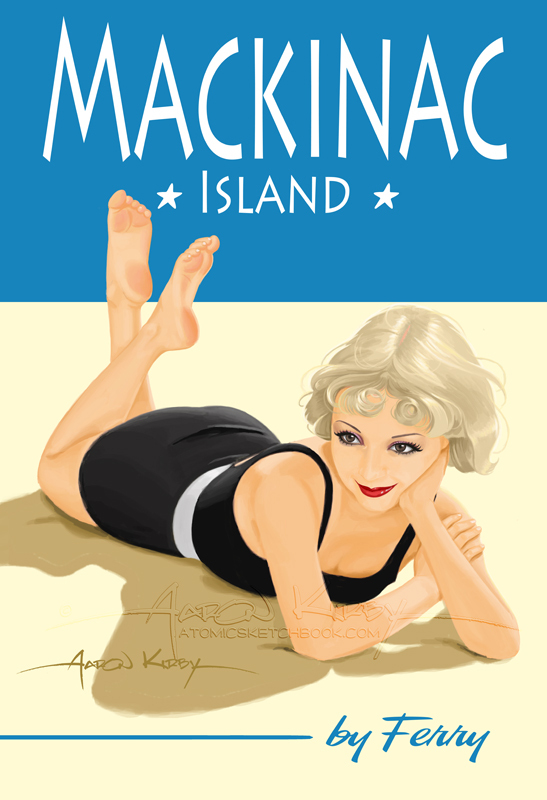 This one is for Mackinac Island, an amazing place here in Michigan. The client wanted a 20’s pin up so I went with the beautiful Alice White. I’ll have to do my Esther Williams idea later..